Going from a turn-based strategy game to a first person shooter with mild strategic leanings is a pretty big change for the X-Com, and the guy who started the franchise isn't particularly pleased. Julian Gollop, creator of the original turn-based X-Com, has offered his perspective on the upcoming first person shooter remake/reimagining XCom. Speaking in the comment thread of a Gamasutra article about the game, he said that he would have made a turn-based game, but that no one had asked for his input. Gollop expressed regret that turn-based games were now considered a niche genre, which would mean that 14 years of his game design experience would now be essentially obsolete. He added that he believed there was still a market for a turn-based X-Com game, as long as the design was right, but said that publishers "ran a mile" from anything with turn-based mechanics. He said that the exception to the rule seemed to be Nintendo's handhelds, and cited several examples of turn-based games that had done well in recent years, including Advance Wars and Final Fantasy Tactics. He also said that he considered PokÃ©mon to be a TBS game at its core, despite its RPG veneer. Gollop isn't the only the person to express disappointment at the radical changes made to X-Com, but his must be especially potent having made the original game. 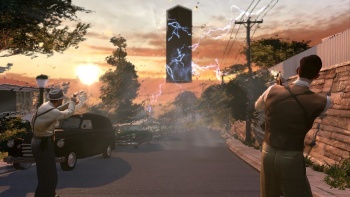 XCom is being developed by 2K Australia, and is scheduled for release in 2011.